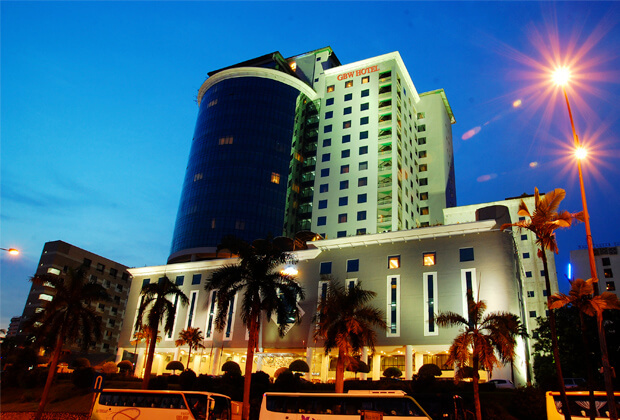 Formerly known as Grand BlueWave Hotel Johor Bahru. Redefining luxury living and entertainment is the essence of the GBW Hotel experience. Situated right in the heart of Johor Bahru, the central business and shopping district of Johor, our luxury hotel features spacious and opulent rooms, modern facilities, and exceptional service. Truly, this hotel in the Island of Puteri region in Johor is the most ideal getaway for travelers who want only first class accommodations, whether they are traveling for business or for leisure with the whole family. Our rooms and suites convey the graceful environment of a stately home that is tastefully furnished for your utmost convenience. We aim to surpass the demands of discriminating guests and make sure that they have everything they need for their convenience and comfort. Our strict adherence to hospitality standards applies to our wide range of facilities as well. We cater to the business and recreational needs of our guests and ensure that leisure and accessibility are always within your reach. We pride ourselves on our impeccable service courtesy of our highly efficient staff trained to attend to the needs of even the most demanding guest. The total convenience of our location is part of the luxury we offer here at the GBW Hotel. We are just short minutes away from the places that matter in Johor Bahru, such as offices, shopping centers, and cultural destinations.